It’s that time again. Out grocery shopping I went yesterday. I had a cute lady leave me a message asking a question that I thought I would answer briefly today. 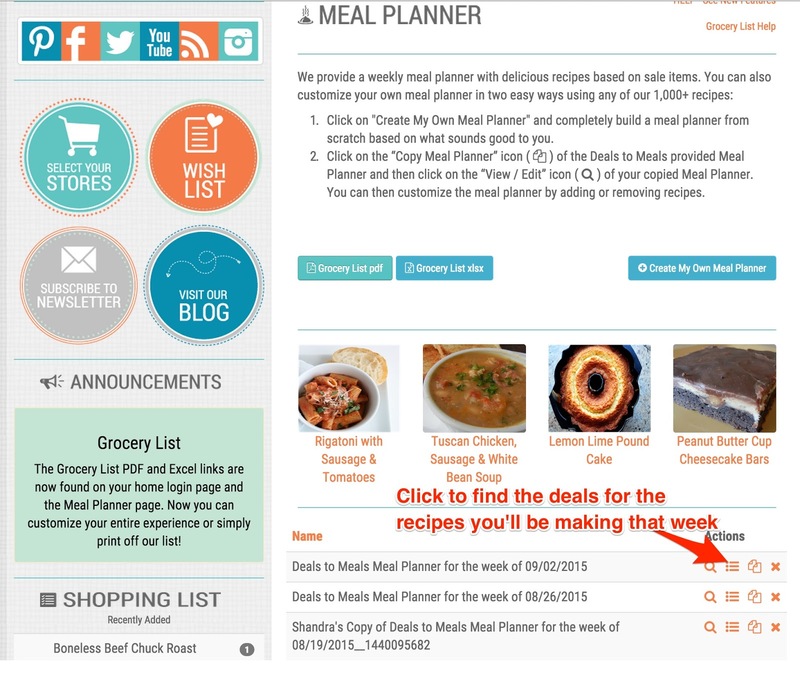 1-I login to Deals to Meals, I check out the weekly menu planner. Decide which of the recipes I want to make for that week. Some weeks I make all 7 main dish recipes and other times I use 3-4 of them and a few other recipes I want to ad. This is the great part, you can choose to use our recipes or use your own. It’s up to you! 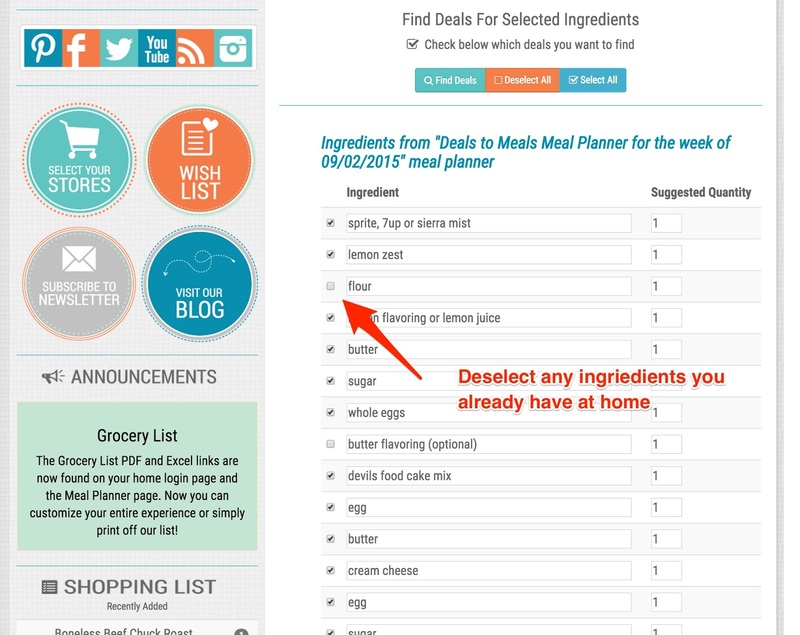 2-Once you’ve removed the recipes you know you won’t be making for the week, click on the ‘list’ looking button on the meal planner page to bring up the ingredient list that you will need for the week, so you can find the grocery deals that go along with those recipes. 3-Remove any ingredients you already have to home. We will be simplifying this step in the next week to remove all of the ‘staple’ items you should generally have on hand already. In the mean time, just deselect them to make your shopping list more condensed. 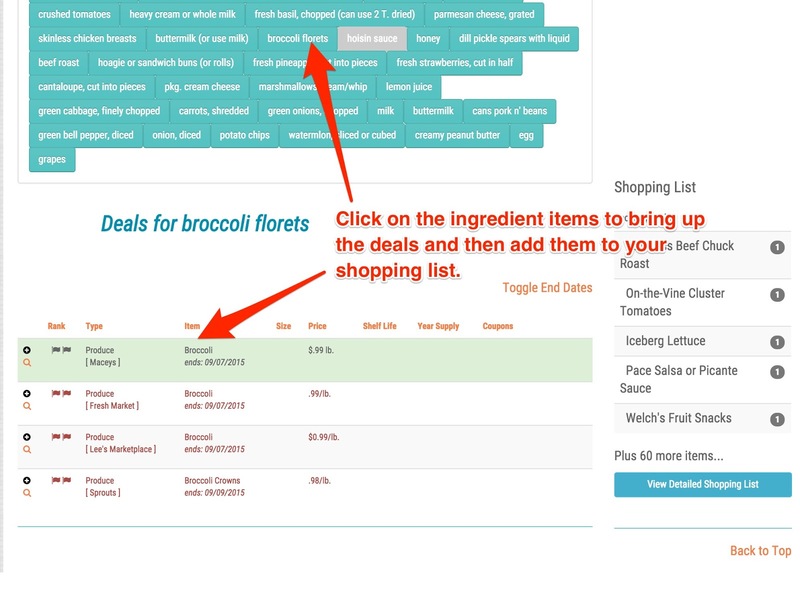 4-Click on the ingredient/item and add each grocery deal to your shopping list. If there isn’t a deal found for that item, just add it to the list and you can pick it up at Walmart or Costco. 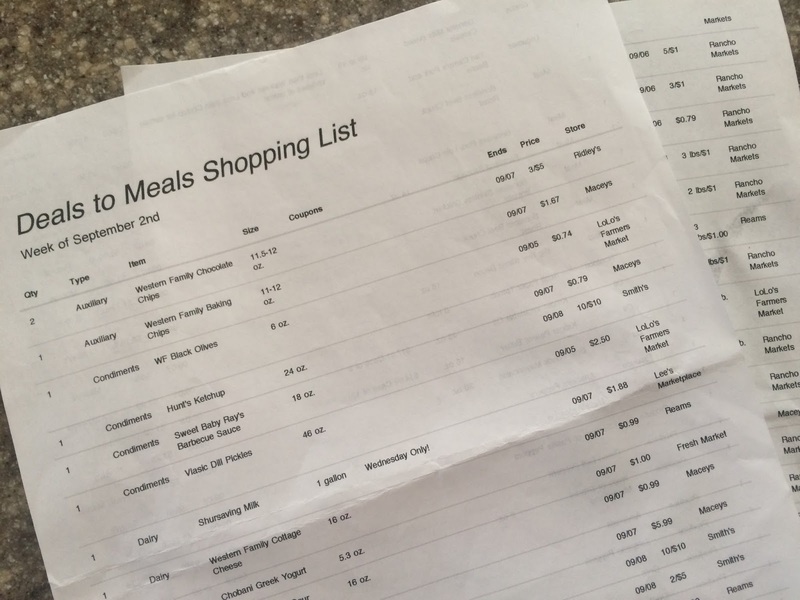 5-If I have time, I like to always glance quickly through the deals from my selected stores to see if there are any great deals that might not have shown up on the menu planner ingredient list that I still might want. Things that I might need for lunches, cereal, etc. that I don’t want to miss a deal on. I add those few items to my shopping list and I’m just about done. 6-Print off my shopping list and head out to the store! Shop at the store who has the deals you are wanting to take advantage of, or price match at Walmart as many deals as you can (taking into account their new price match policy). I generally buy most of my produce at Sprouts on Wednesdays (when its double ad Wednesday) and then finish up my shopping at Walmart so I can price match the rest. 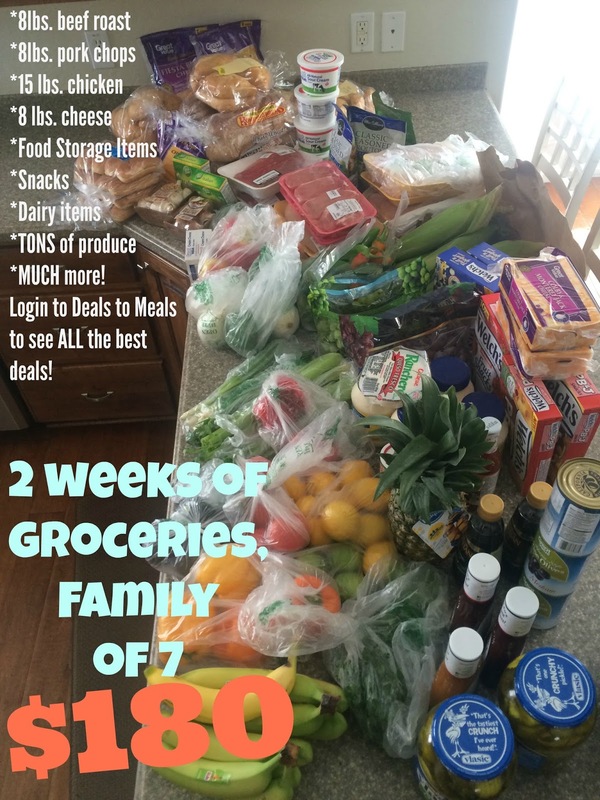 It seems to work great to get good produce at inexpensive prices and all of the boxed/frozen items I need at Walmart. Costco is also right next door so if I need a few things from there too, I’ll run in really quickly and try not to spend all of my money there! *TIP FOR BUSY WEEKS: Yes, we all have weeks where we don’t have time to look through all of the recipes and have the perfect meal plan. 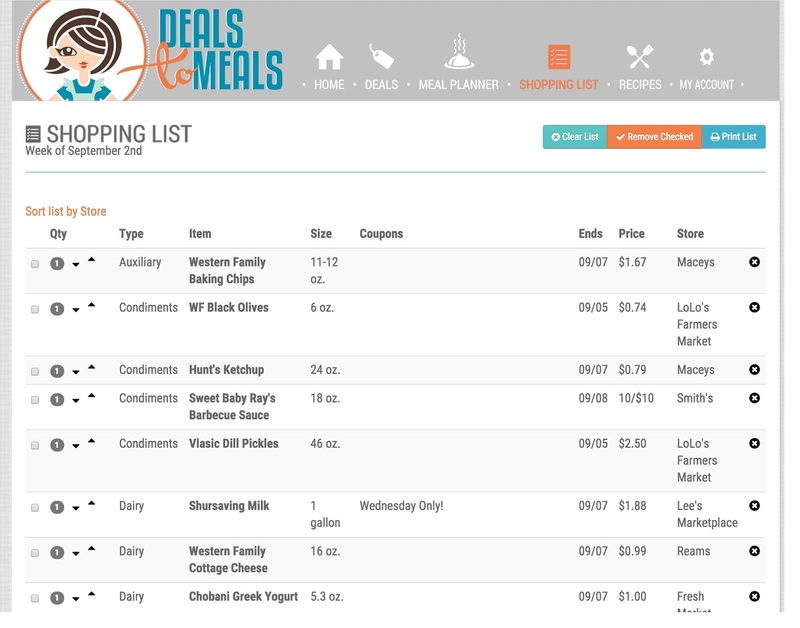 These are the times I ONLY go to the deal portion of the website, click on the items I know my family uses on a regular basis and head out shopping. 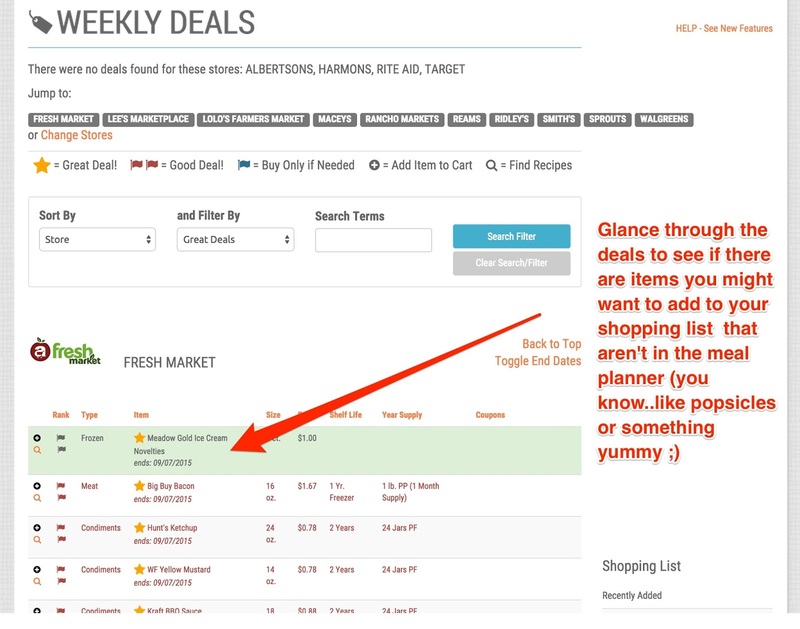 I generally know by now what items I need to make our ‘usual’ type of recipes, so it’s easy to just glance through the deals and recognize what ingredients/items I will need for the week. This is a great option if you are running low on time and need to shop without a lot of planning. Deals to Meals can work for you, no matter what your schedule allows 😉 The most important thing is you are saving TIME and MONEY so you have time to do the things you really enjoy. Let me know if anyone is still confused. I am here to help! 🙂 Have a fabulous day. Thanks so much for this and the screenshots. The only place I was lost was you have to make a copy of the meal plan or create a new one. 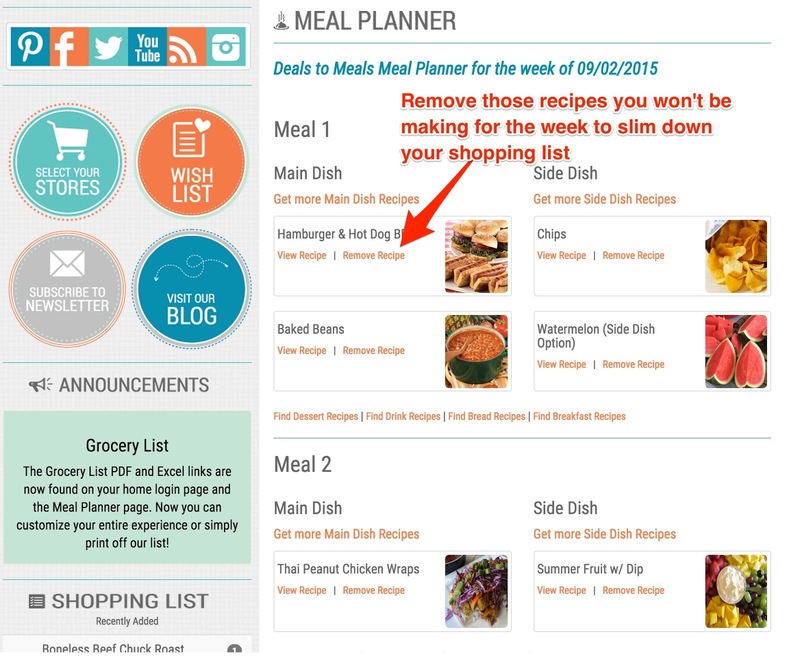 I opened the meal planner went into the current one and was trying to edit it. This is a great tool and will start using more often now that I know how. Thank you so much for taking the time to answer my question! Your brief explanation is very helpful and just what I was looking for. Have a great day! Target will now price match Walmart, Costco, Sam’s Club & Amazon!